A new study has ranked 25 of Europe’s capitals on 10 green factors to reveal the continent’s most eco-friendly capital cities. 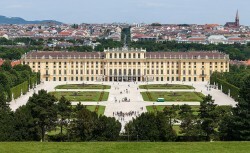 Vienna - how else could it be expected - has once again emerged as the number one. 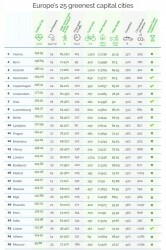 The study from comparethemarket.com has ranked Europe’s capitals on ten green factors to reveal the continent’s most eco-friendly capital cities. The study publisher ranked each city on 10 criteria and then combined the scores to provide an overall rank and took the top 25 results.